Born in Sydney into a card playing family, I recall playing 500 and Solo for pocket money at Uni. I knew a bit about bridge as my parents played. Like many Australians at that time after finishing Uni I went on a working holiday to the UK. On my return in 1970, a friend asked me to play in the Lindfield congress with her…quite a big event back then, and my first major competition. I swatted up intensely for a week on Sheinwold’s: 5 weeks to Winning Bridge. In the pairs qualifying rounds we played against 2 young guys who bid to 6 spades holding QJxxx opposite 109xxx and when leading towards Q my partner hopped with K from Kx and crashed my ace. I observed the wink and made a comment about us being novices. They were a little embarrassed and when we finished playing in the bottom consolation final they appeared so happy for us as we had won. They asked us to a party and when everyone was coming up to congratulate them I discovered they had won the event. I decided to get some coaching! ; The pair was George Havas and Bobby Evans. I married him 16 months later and unfortunately was divorced 12 years after that. I really worked hard after this event and I owe a lot to him. I met Barbara McDonald and Alan Walsh shortly after this and the four of us would play for whole weekends non-stop. 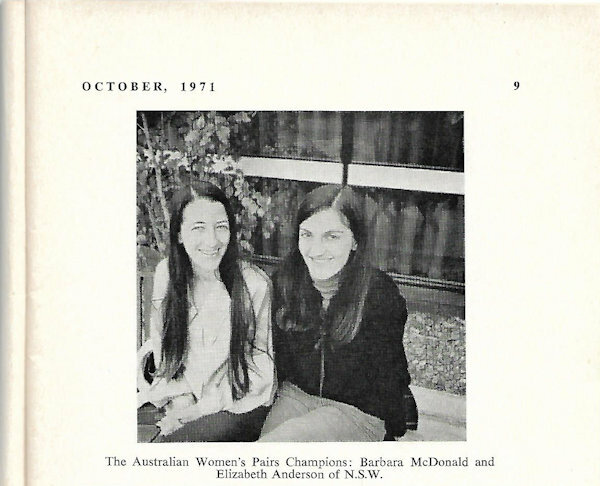 So in 1971, 8 months later we played for NSW in the Women’s Interstate at the ANC in Brisbane and won my first National title by winning the Women’s Pairs (see photo) (and runners up in the teams). We moved to Canberra after marrying in 1972 and in 1973 the ABF announced that the team that won the National Youth teams in Jan 1974 would be the Australian Open team for the year. So George, myself, Ted Griffin and Alan Walsh won and so here I was now playing for Australia for the first time in Manila. 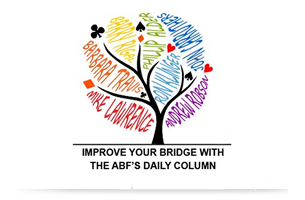 So I had a lot of success early in my bridge career and first played for Australia in women’s bridge in 1976. At International level , I have played over 20 times in open, women’s and mixed events. 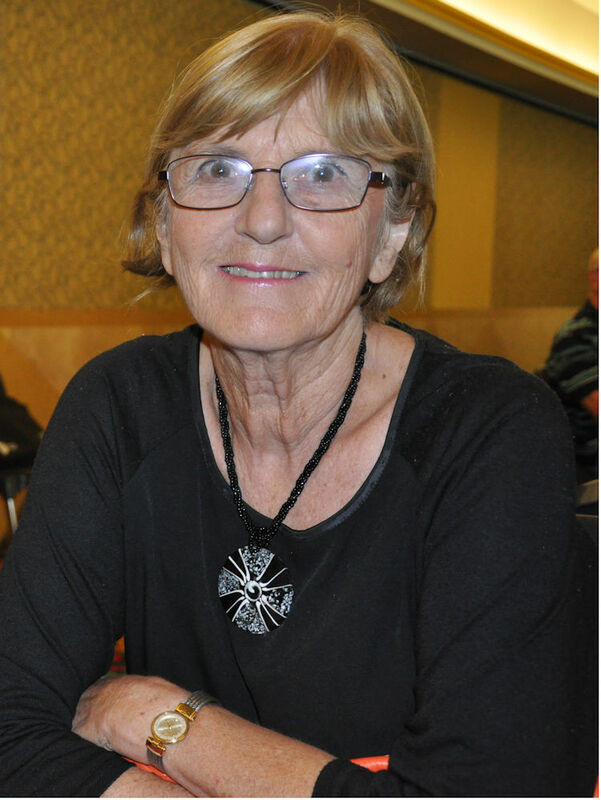 At National level, I first played in women’s for NSW in 1971 and then more that 20 times for ACT , mainly in open but also women’s and seniors. I have now won 51 National titles. 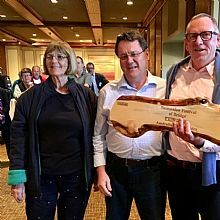 (see photo of Neil Ewart and me winning the 50th title in Australian Swiss Pairs in Launceston)…51st with Sheila Bird in Autumn women’s pairs in Adelaide. One of my best achievements was qualifying for the Australian Open Team in 1998 with Barbara Travis. ; We are the only women’s pair to have ever represented Australia in Open bridge. I am a pharmacist who worked in retail, hospital and research positions but retired 10 years ago. I am interested in all sports but now only swim and play tennis at least once a week. I am an avid gardener and especially like growing vegetables. I also like travelling and seeing new places and undertake 2-3 trips per year.